...The parent of the Quiksilver, Roxy and DC Shoes brands — after his empty boat was found washed ashore. 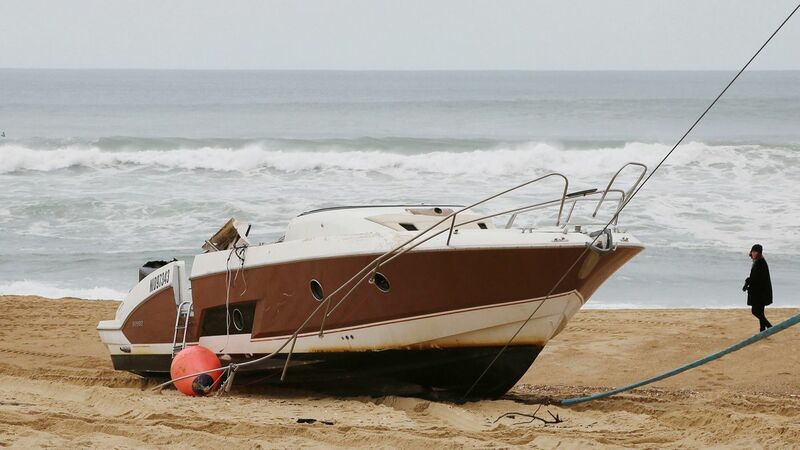 The port authority of the Atlantic beach town of Capbreton said the search was launched after Agnes' empty boat was found washed up Tuesday in nearby Hossegor. In a statement, Boardriders said that 54-year-old Agnes had gone fishing on his "beloved" boat, as he often did in the mornings, and that he had not been heard from since. "The Boardriders family and entire surfing world are devastated by this news," the Huntington Beach company said. "We are concentrating on working with the local authorities on the search and rescue effort and supporting Pierre's family." Maritime authorities said two boats and three helicopters were involved in the search. According to Agence France-Press, Agnes went out in his boat early Tuesday and later told authorities that because of fog, he would return later than he'd initially planned. Quiksilver, known for its surfwear, was founded in Australia but is now majority-owned by an American investment group, Oaktree Capital Management, and based in California. Agnes was the head of its France-based European headquarters before being named CEO of the whole company in 2015. He is a French citizen and resident, but spent time at Boardriders' Huntington Beach headquarters. With demand for surfwear shrinking, Quiksilver filed for Chapter 11 bankruptcy protection months after Agnes took the helm, then emerged in 2016. It changed its name to Boardriders last year.